Rt Timbul: Pacific Orchid Exposition...Gala Benefit Preview in San Francisco! March 3rd! Pacific Orchid Exposition...Gala Benefit Preview in San Francisco! March 3rd! 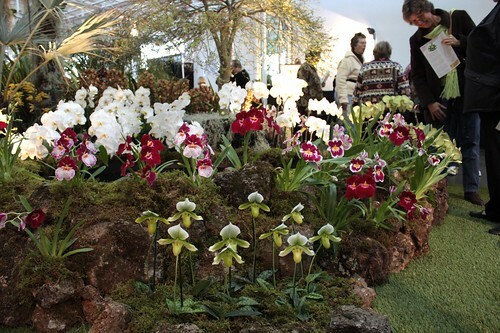 America's exquisite Orchid Show - featuring a dazzling array of rare and wonderful orchids - is slated to throw open its doors to the public March 4th - March 6th (2011). On Thursday, March 3rd, there will be a Gala Benefit Preview! Orchids are one of my favorite flowers - and oftentimes during quick jaunts up to San Francisco - I am inclined to snap up a plant or two to brighten my Hotel room. The much-anticipated event is expected to uplift quite a few spirits when the exotic offerings are unveiled at the end of the week. Touchy plant needs love & nurturing!